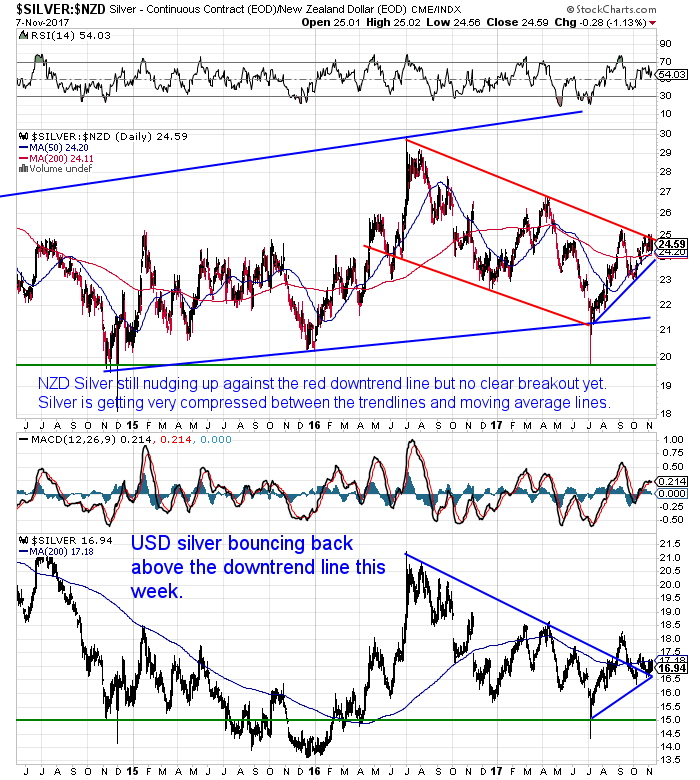 Home / Weekly Newsletters / Very Close to A Break Out – Which Way? Very Close to A Break Out – Which Way? 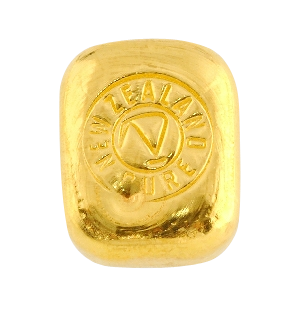 Gold in NZ dollars has held pretty steady this week. Just up slightly on a week ago. 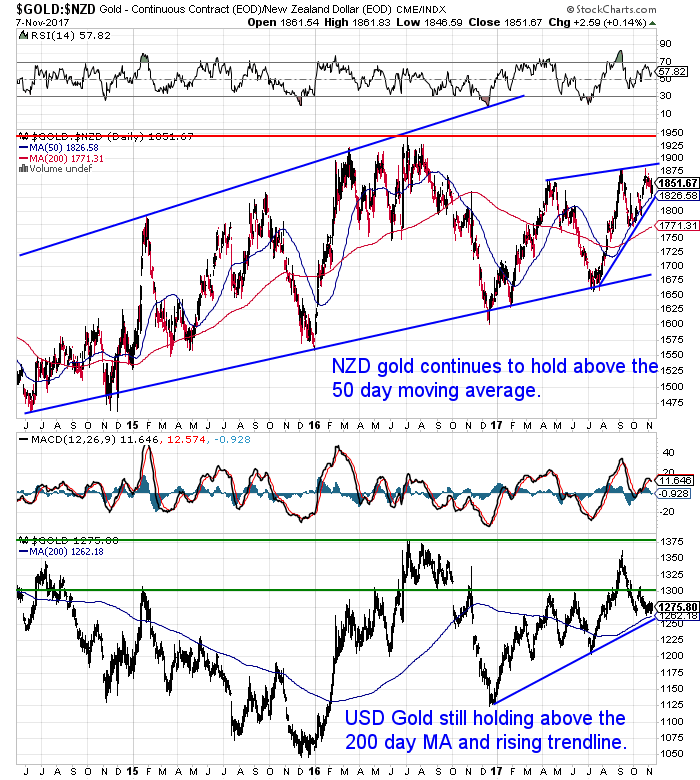 Once again gold bounced off the 50 day moving average line and short term uptrend line. It is getting quite compressed in the wedge between the 2 trend lines. A break in one direction or the other will have to come soon. NZD Silver is looking even more compressed than gold. 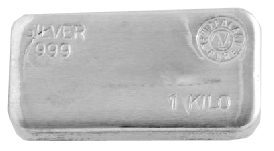 Silver is up over 1% on last week. For many days now it has been bouncing between the 200 day MA and the red downtrend line. So like gold, silver will also have to break out of this wedge pattern it is in very soon. Given the level of negativity surrounding precious metals currently, it would not be a surprise to see silver (and gold) do the opposite of what most expect and move higher from here. 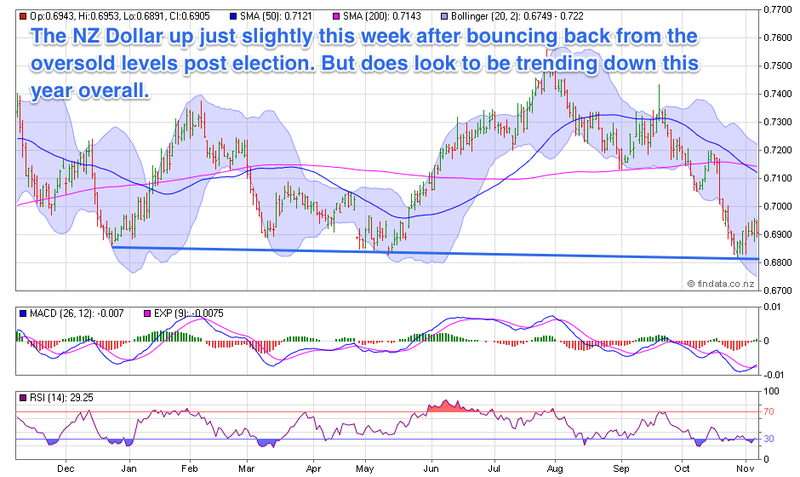 NZ Dollar Bounces But Now in a Longer Term Downtrend? The NZ Dollar has edged slightly higher this week after bouncing back from oversold levels following the election. As we noted last week, the Kiwi looks to be in a slight downtrend now for the 2017 year. So while in the short term we could see a further rally, our guess is the NZ Dollar is going to find it tough to make too much ground currently. 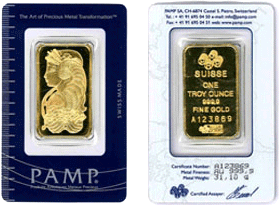 Gold and silver are of course a good hedge for a potentially weakening local currency. Last weeks article generated plenty of interest: A House Price Crash Caused By the New NZ Government Policies? It got us thinking about longer term cycles in property and also in gold and silver. So this week’s feature article was born as a result. When Will Gold and Silver Reach their Peak Valuations? 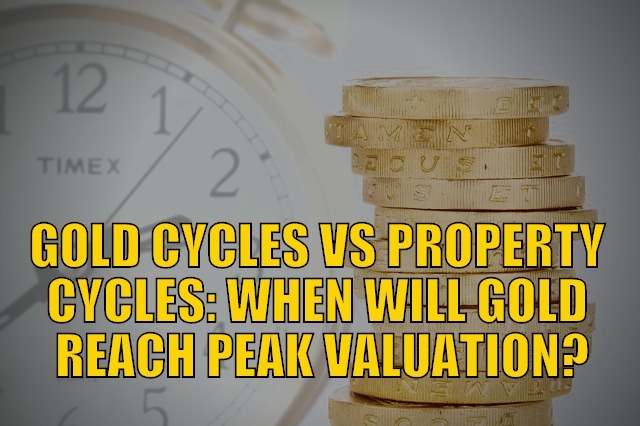 How Property Cycles and Gold Cycles Might Play Out in the Years to Come? Of course there are no guarantees but it is interesting and worthwhile to look to the past to see what we can glean for the future. 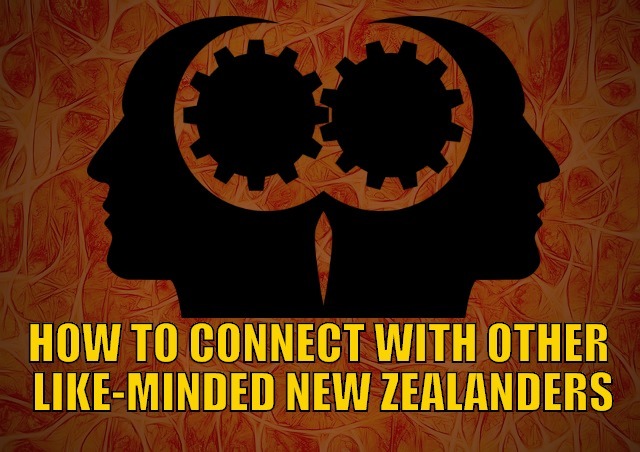 Thanks to those who attended the inaugural Gold Survival Guide Auckland Circle Meet Up last Thursday. It was only a smallish gathering but we had people from as far away as Te Awamutu and Te Kauwhata head up for the evening. A great group of people to discuss where the world may be heading and how New Zealand fits into that. We’ll aim for another one in February so keep a look out in your emails for the next one. Meanwhile if you’re from elsewhere in the country and still haven’t expressed your interest you still can. If you’re on an Android phone then be sure to check out our new Gold Survival Guide App (Apple version coming soon too). 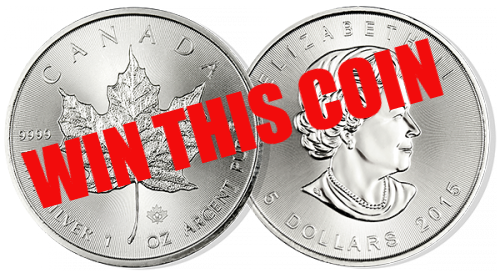 Finally Remember, if you’ve got specific question, be sure to send it in to be in the running for a 1oz silver coin. And don’t forget to check out the other articles on the site this week too. As we said last week, here in New Zealand now may be a good time to buy. With NZ property prices potentially topping out, plus the NZ dollar also possibly trending down. Owning alternative assets should hedge you against both of these outcomes. Call David to discuss these deals on 0800 888 465. Or just reply to this email. Check out this cool new survival gadget. It’s easy to use. Just charge it in the sun. Inflate it. And light up a room. 6-12 hours of backup light from a single charge! No batteries, no wires, no hassle. 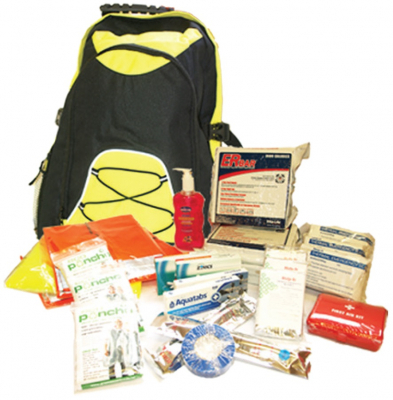 And at only 1 inch tall when deflated, it stores easily in your car or survival kit. Plus, it’s waterproof so you can use it in the water. 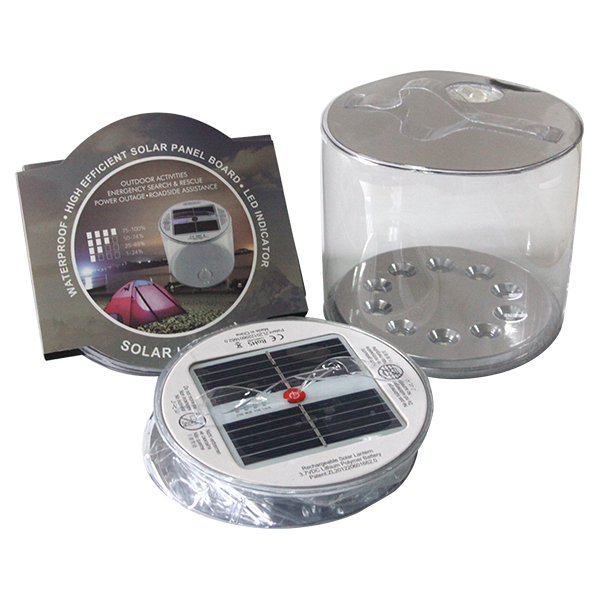 See 6 more uses for the amazing Solar Air Lantern. Is the NZ Dollar Now in a Longer Term Downtrend?